It’s just barely asparagus season at home in New York, but down here in Asheville it is in full swing: I picked up a bunch of local asparagus at the West Village Market on Friday, then scored two more bunches at the Asheville City Market on Saturday. Can you tell I love the ‘sperge? There are a million lovely things to do with tender young asparagus, but, while at the West Village Market I also spied a ‘forest mix’ of dried wild mushrooms: oyster, bolet, porcini and shitake. A risotto seemed predestined. A note on mushrooms: I am not a big fan. People in general, I find, tend to be mushroom lovers or haters, with not a lot of happy middle ground. Like many of my food prejudices, the mushroom issue is one of texture: perhaps I, like many others, have simply been tortured once too many times with squeaky, rubbery, or slimy white button mushrooms <shudder>. Over the years, I have slowly developed a tolerance for mushrooms, under certain conditions (i.e. my own kitchen); I find I like dried, rehydrated mushrooms better than fresh (texture? strength of flavor?) and that I am much more fond of wild mushrooms than any of the common store-bought varieties. Nevertheless, despite my fungophobia, I have discovered that certain recipes need mushrooms – at least a little bit- or they simply don’t taste right. 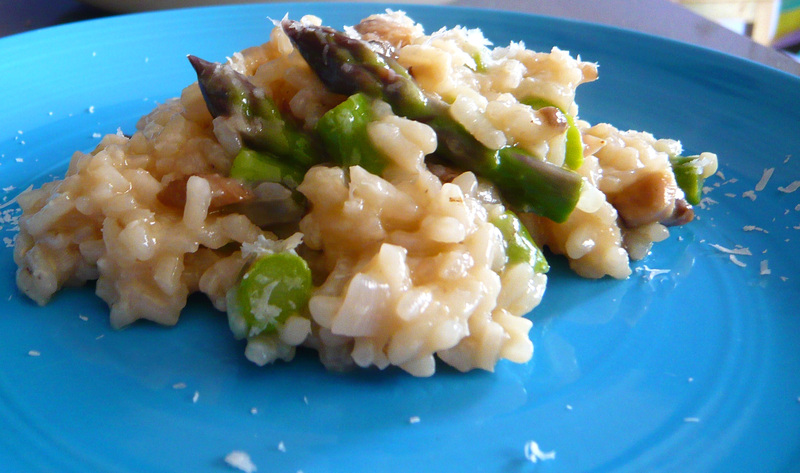 And an asparagus risotto, or any of the savory, umami-type risottos, top this list. So, if you are in the mushroom lover camp, feel free to double or even triple the amount of mushroom in the recipe; this risotto can take it without overwhelming the asparagus flavor. If you are in the mushroom hater camp, try it out with this small amount: Mom is not a fan of mushrooms (perhaps it’s genetic?) but even she proclaimed the risotto delicious and “you don’t really taste the mushrooms at all!” Little does she know, you do taste them (hence the indispensable ingredient), they just don’t taste overly… mushroomy. You know what I mean? Either way, this dish is a delightful way to celebrate Spring’s favorite aphrodisiac. Make it for someone you love today! Place dried mushrooms in a small bowl and cover with boiling water. Allow to rehydrate for about 5 minutes. Drain mushroom water (if you like, reserve to add to the stock in place of the 1 cup water) and finely chop mushrooms. Set aside. Bring stock + water to boil in a medium saucepan. Add asparagus (use a steamer basket if you have one) and boil for 3 to 4 minutes, or until bright green and tender-crisp. Remove and plunge immediately into an ice water bath to stop cooking. 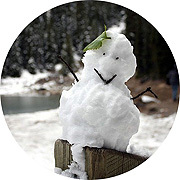 Allow to sit in ice water for 1 minute, then drain and spread on a clean kitchen towel to dry. Maintain stock/water at a gentle simmer. 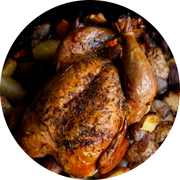 In a large saucepan or small stockpot, heat olive oil and butter over medium-high heat. 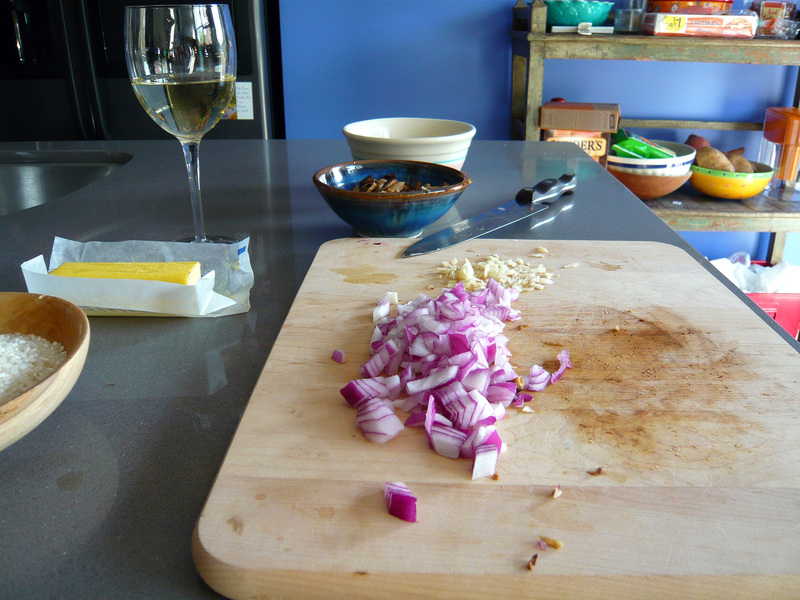 When butter foam subsides, add onions and saute for 3 minutes (lower heat if necessary to keep onions from sticking). Add mushrooms and saute for 2 minutes. Add garlic and saute for 1 minute. Add rice; stir and cook for 1 minute. Add 1/2 cup of wine; stir and cook until wine is absorbed (1 – 2 minutes). Add 1/2 cup of hot stock; stir frequently and cook at a brisk simmer until stock is nearly all absorbed (about 1 and 1/2 – 2 minutes per addition). Continue adding stock, 1/2 cup at a time, and stirring frequently, until all stock is added. In total, this step should take about 20 minutes. Add asparagus. Stir well and cook 1 minute to warm through. Add parmesan cheese (if desired, add 1 tbsp butter at this point for a creamier texture and added flavor). Taste, add salt & pepper, and taste again. Adjust parmesean or butter as needed. Serve immediately, garnished with additional parmesan cheese. Mushroom lovers could increase the mushroom amount substantially. Mushroom haters should try this small amount of mushroom; it makes all the difference. Fresh mushrooms would work equally well; use 1 – 2 cups fresh, sliced mushrooms and saute with the onions. For a more intense asparagus flavor, add 1/2 of the thicker stem pieces of asparagus (already boiled) along with the mushrooms in the initial saute; the texture of these stems will be softer at the end, but more asparagus flavor will permeate the rice. 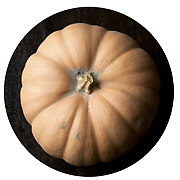 To make a vegan version, omit butter and try thickening the risotto at the end with 1/4 cup pumpkin (or other winter squash) juice. It’s hard to go wrong with cooking risotto in bacon fat; you could crisp some bacon slices, use the strained fat in place of oil/butter, and then add crumbled, crispy bacon at the very end, or as a garnish. Risotto is best eaten freshly made; but risotto cakes are lovely. Someday I will give you a recipe, I promise! 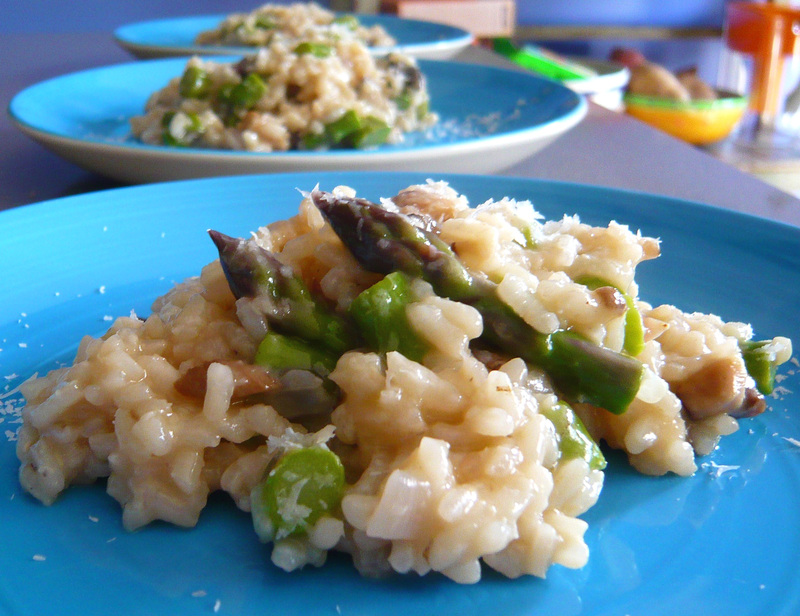 If you must store, risotto will keep in the fridge for up to a week, and frozen for 3 months. This is best with young, tender asparagus which is available in farmer’s markets in mid-Spring. With frozen asparagus, you can make this year round. 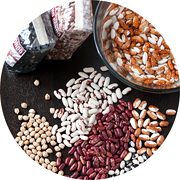 I have a question about the rice in this recipe… will a whole grain brown rice work as well? I’m trying to get away from refined starches like white rice and pastas. Brilliant! I have some arborio rice left and can’t wait to make this! Technically, any rice can be cooked risotto-style, but Arborio rice is the traditional rice for risotto because it contains a high amount of a certain starch (amylopectin) that, combined with the cooking method, yields the rich creaminess of risotto without a lot of added fat. While there is brown arborio rice, I have read that it is not recommended for risotto (the bran remaining on the rice does not allow the starches to be released, thus the risotto does not develop a creamy texture). If you want to try a brown rice risotto, I recommend a short-grain brown rice variety, which should plump up and develop some creaminess, but will likely be softer in texture (i.e., lack the “l dente”) than Arborio rice. i cannot wait to make asparagus risotto. and i’ll quadruple the mushrooms! hehehe! lovely post and recipe. it’s making me hungry!